Gender parity is good for women, but it can also benefit their partners and their children. Gender equality, men and women working and leading equally together, leads to higher performance and profitability. 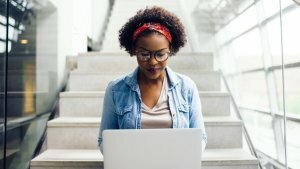 A plethora of studies show that countries can improve their GDPs if more women participate in the workforce and in leadership roles, that diverse teams are more creative and make better decisions, and that companies with more women in executive roles are more profitable and have higher share prices. Just as important, perhaps more important to you, more working women and women in leadership can improve your life and your performance. Obviously, gender equality benefits women. But, have you thought about how gender parity also benefits the sons, daughters, and partners of the women? One study across 24 countries showed that girls raised by a working mother had higher incomes than women whose mums stayed at home full time. And boys raised by working mothers were more likely to contribute to household chores and spend more time caring for family members. 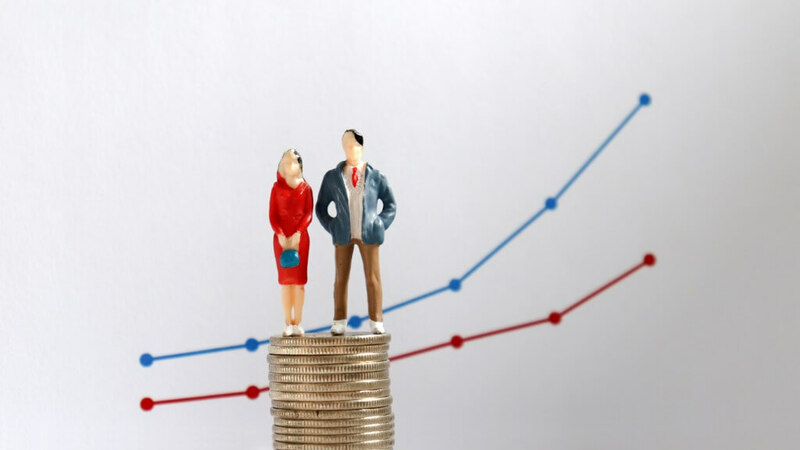 “There are very few things, that we know of, that have such a clear effect on gender inequality as being raised by a working mother,” says Dr. Kathleen L. McGinn, Professor of Business Administration at Harvard Business School HBS, who conducted the study. “There’s a lot of parental guilt about having both parents working outside the home,” McGinn says. “But what this research says to us is that not only are you helping your family economically – and helping yourself professionally and emotionally if you have a job you love – but you’re also helping your kids. When women have more occupational choices, so do men. When more women work, and are in senior well paid positions, men don’t have to carry the burden of being the sole provider. When more women work, men are more likely to spend more time with their children, which is very positive for both the children and their dads. Almost every single one of the 250 women from around the world whom I interviewed for my book Undeterred cited their dad as a major positive influence on their career success. Gender diversity is also an advantage to you in your career or business. If you are able to build and work effectively with a high-performing diverse team, your results will outpace your peers and your competition. A gender-diverse team is a competitive advantage. It may seem counter-intuitive, but when you accelerate the success of women, you accelerate your own success. Here’s my favourite example of how it works. Be sure to read this if you want to get ahead in your career. Paul, a relationship manager at a bank, didn’t spend much time with the female client-service representative on his team. Since his clients were generally pleased with the service they received from her, he didn’t give her, or what she did, much thought. As a result, he didn’t know much about her, the full range of her capabilities, or her potential until one morning, when he overheard her talking to a client. Without looking at a computer screen or referring to any documents, she rattled off detailed information to the customer about the balances in their accounts. He called her into his office and asked where she was getting the numbers from and how she was able to recount them so easily to the customer. She explained that every morning when she came into the office, she spent time reviewing each client account and relationship and that she had a great memory. He tested her by asking questions about various other client accounts. She was able to correctly answer every one. Now she had his attention. He asked her why she was in her current role and discovered she’d taken the job because it was the only position available at the time she applied. He asked her about her career interests and ambitions, and she shared that she had higher aspirations and the skills to go along with them. During the conversation, he had an “aha” moment: If they worked closely together, perhaps they both could be much more productive. And if he positioned her to achieve her ambitions, she could help him achieve his. Paul began to give his co-worker more responsibility and stopped assigning small administrative tasks to her as he had formerly done. He spent time with her discussing their clients and strategising opportunities to further develop their accounts. Their new way of working together resulted in significant growth in their client relationships. Their novel approach was so successful that the bank made a video about the way they worked together as an example and model for similar teams in the bank. During the next few years, the two of them were assigned and expertly handled the client portfolios of four other teams. They continued to excel. At every opportunity he had, Paul spoke highly about his female colleague to senior leaders and regularly praised and recognise her. She was promoted. He was promoted. Eventually, although they no longer worked together, both he and she became senior vice presidents. You want to produce results. You want to succeed. You want fair competition and a level playing field. How can you have that if you utilise only half the talent pool and compete with only half the players? This imbalance is what we have in today’s work environment. This is an edited extract from WE: Men, Women, and the Decisive Formula for Winning at Work by Rania H. Anderson (will be published by Wiley, December 2018). Rania H. Anderson is an international speaker, an executive coach, the founder of The Way WoMEN Work, the co-founder of a women's angel investor network, and a committed mentor. Sought after by Fortune 100 companies, entrepreneurs and leaders for her practical advice and tangible insights, she transforms the way men and women work, lead and succeed together. Rania is also the author of Undeterred: The Six Success Habits of Women in Emerging Economies. 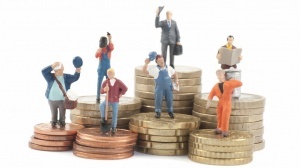 What If Your Employee Says They're Paid Less For The Same Job?